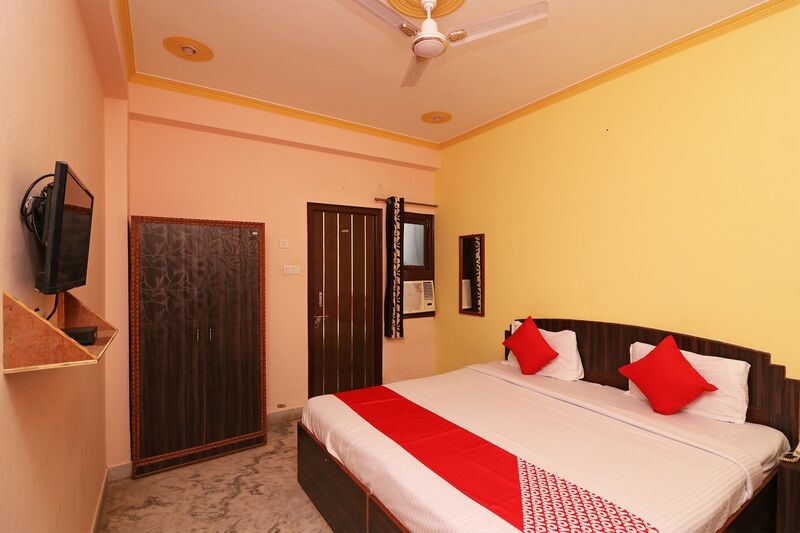 Hotel Lakshya Palace is a modern property with bright and cosy rooms near Saaras Circle on Fatehpur Sikri Road, in Bharatpur. Asht Dhatu Gate, Jawahar Burj, and Lohagarh Fort are close to this property. The hotel has a charming reception with exposed brick wall and an in-house restaurant that is bright and features wooden furniture. The rooms are spacious and bright, and the bathrooms feature stylish tiles. Each room comes with TV, AC and cosy bedding. The hotel is close to eateries like Swad, Celebrations restaurant, Shahi Rasoi, Devi Ram Ki, Green leaf, Mukhia Ji Dhaba, and Ajit Dhaba.